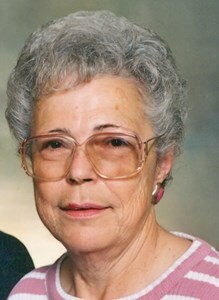 Newcomer Family Obituaries - Eleanor Pearl McGee Ring 1935 - 2019 - Newcomer Cremations, Funerals & Receptions. Eleanor P. Ring, age 84, of Toledo, passed away March 17, 2019 at home. Eleanor was born February 7, 1935 in Hickman, KY to Charlie Wayne and Odie Evelyn (Estes) McGee. She married Harold Lee Ring on June 2, 1950 in Corinth, Mississippi. She has three loving children who will miss her dearly, Don (Gail) Ring, Brenda (Herb) Osterhout, Debbi (Tom) Lytle; she was blessed with five grandchildren, Brad (Jennifer), Shane (Stephanie), Damien (Brad), Andrea (Carroll) and Christina (Lewis). Eleanor was doubly blessed with twelve great grandchildren, who range in age from 22-4. She is also survived by a brother, Charles Wayne "MAN" McGee; sister, Joanne Denton. Eleanor had a special person in her life for the last 20 years, Jessie Petree. She is preceded in death by her parents, her loving husband of 44 years, Harold; a grandson, Herbie Lee; a brother, Odis Gaylon McGee and a sister, Glenda Sue Bordon. The family will receive guests Wednesday, March 20, 2019 from 4:00 pm - 8:00 pm at Newcomer - West Sylvania Chapel, 3655 King Road (419-392-9500). Funeral Services will begin Thursday at 11:00 a.m. at the funeral home followed by burial at Ottawa Hills Memorial Park Toledo. In lieu of flowers, memorial contributions may be made to Hospice of Northwest Ohio, in Eleanor's memory. Add your memories to the guest book of Eleanor Ring. My dear sweet Memaw, I loved every single moment I got to spend with you. Even those silent moments doing those puzzles or just sitting around doing nothing. Every moment with you was precious to me. I remember that week in December we did so many puzzles that when I closed my eyes I was seeing puzzle pieces but it was the best!!! I was so honored that you allowed me to take care of you. I know God was there in those soft moments with us. I hope you know just how much you mean to me. I’m so glad I was a comfort to you to the end Memaw. Now you’re with God in heaven waiting on the rest of us. You have my heart Memaw. I love you my sweet Treasure in Heaven. My vivid memory of Eleanor was her contagious smile, if you were near her, you would soon be smiling too! Today she is smiling down from heavenly paradise. Wishing all the family strength and peace during this sad time.